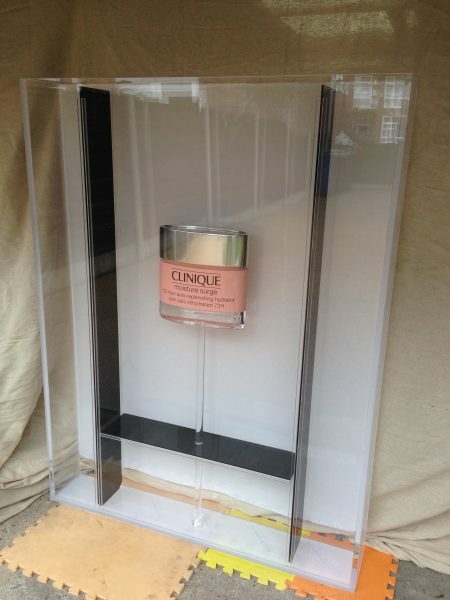 We have just delivered 5 of our bespoke built acrylic tanks for an advertising project with Clinique. 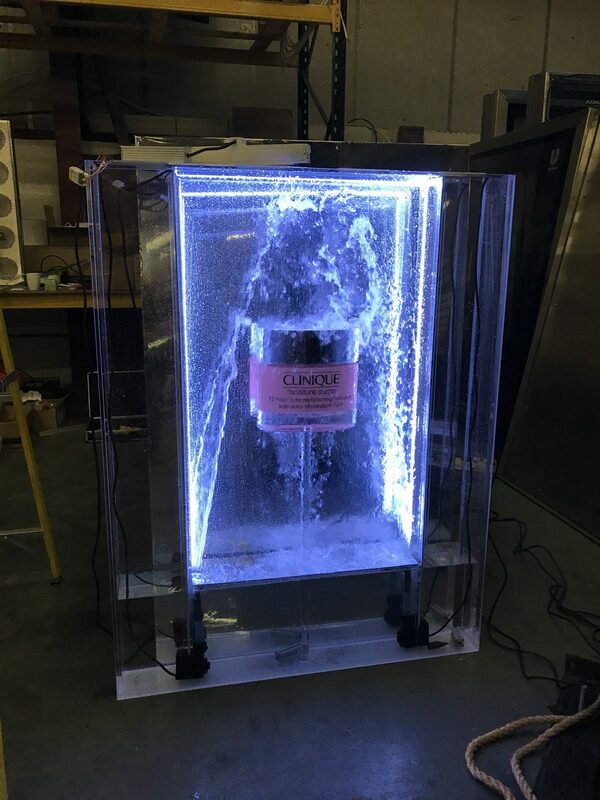 We were commissioned to build Clinique bespoke built acrylic tanks which will promote one of Clinique’s beauty hydration products in a water feature display. The tanks will be located in prominent positions in large shipping centres across the UK. 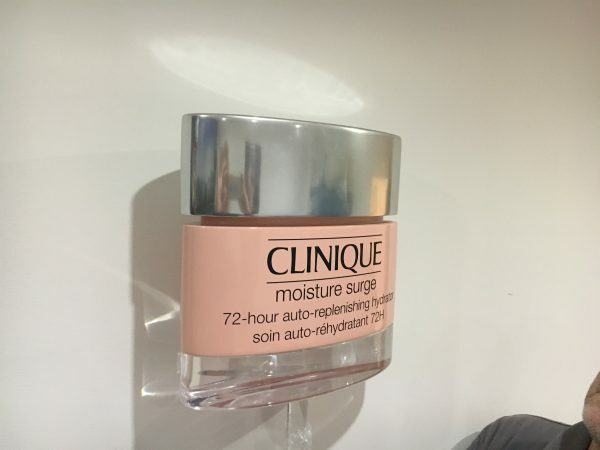 As well as supplying the acrylic tanks, we also supplied a scale model of Clinique’s product. These models were built and machined in wood and acrylic and look fantastic once painted and finished. The models are supported via an acrylic rod which is secured into the base of the tank. Once assembled, water is sprayed over the model via 2 pumps housed in the base of the tank. Lighting is supplied by LED’s which are mounted to the tank sides. We are an acrylic tank supplier and build our tanks in all shapes and sizes. Please contact us if you require an acrylic tank cost.